You know how sometimes you're thinking about books and you wish you could find one with a certain type of character or something specific within your favourite genre? I'll read almost any type of LGBTQ+ book, but sometimes I'm looking for something in particular and it's hard to find. I figured I can't be the only one, and thus the idea for this post was born. It's by no means an extensive list, but it was fun to put together, and I hope some of you will find it useful! Maybe you'll even find something you didn't know you were looking for. *A bisexual POC celebrity MC? *F/F Set outside North America? SPOILER (highlight the black lines to read): Please note this is a retelling of Shakespeare's Macbeth. I know some people were angry about the characters' deaths because of the unfortunate prevalence of a ‘kill the queers’ mentality in books/TV shows/film, and I normally despise that myself, but in the case of a retelling, you have to know it's inevitable. Macbeth is a tragedy - it's not meant to have a happy ending. 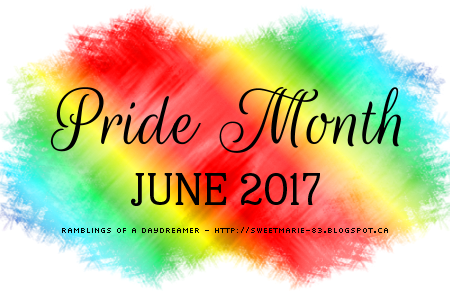 What are some of your favourite LGBTQ+ books? Are there any you recommend regularly? 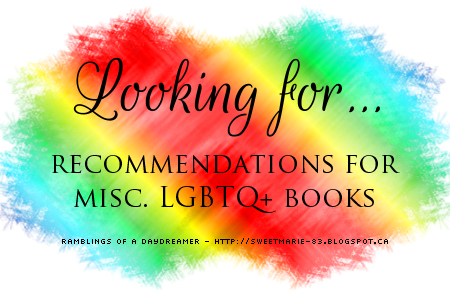 Anything specific you're looking for in an LGBTQ+ book? Love all your suggestions! I'm currently hunting (perhaps obsessively) for an m/m book with musician characters, one that actually focuses on the music a bit. I've read a few and been disappointed so far but I've got some more lined up that look promising. I'm hoping they help me with inspiration for some sequel ideas for my current WIP.